Clerkship Professionalism Award.This award is given to one student each year that exhibits exemplary professionalism behavior during their third year clerkship. North American Primary Care Research Group (NAPCRG) Student Research Award. The UW Department of Family Medicine selects one second-year student each year to receive the NAPCRG Student Family Medicine/Primary Care Research Award. NAPCRG is the world’s premier primary care research organization and sponsors this award to recognize outstanding family medicine/primary care research performed by a medical student. More details can be found on the student research page. TJ Phillip Award. Given to a 4th year medical student matched in family medicine. 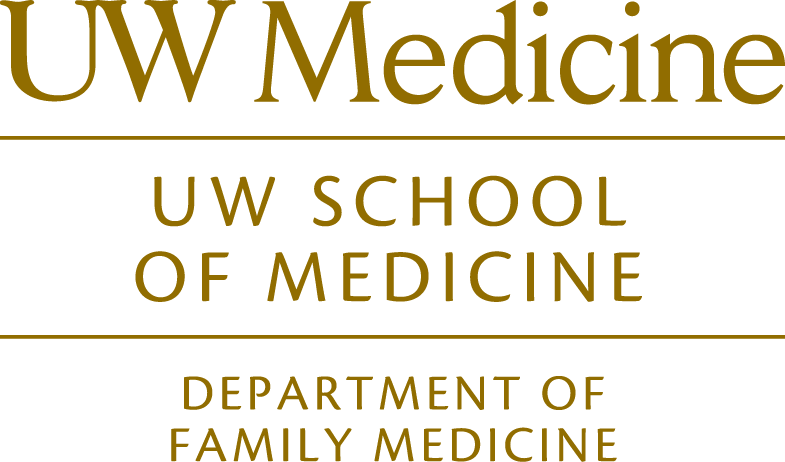 Alfred O. Berg Student Award for Excellence in Family Medicine Research. Awarded to one Washington State 4th year student matched in family medicine. Policy & Advocacy Leadership Institute. Spend the day at the Capitol hearing from legislators, agency heads and the governor’s staff about key issues for primary care physicians under debate in Olympia. Diverse Constituencies Scholarship. Each year, a Diverse Constituencies Scholarship is awarded to two first-year medical students who represent a racial, ethnic or sexual minority. National Conference of Family Medicine Residents and Students (NCFMRS) Scholarship Stipend. Scholarship stipends are available to help students attend the AAFP National Conference. Family Medicine Leads Emerging Leaders Institute. Family Medicine Leads supports efforts to fill the workforce pipeline with the best and brightest new family physicians needed to improve the health of all people, and to support the development of future family medicine leaders. James G. Jones, MD Student Scholarship. Awarded to one student each year to attend the Family Medicine Congressional Conference. Pisacano Scholarship. Awarded to one 3rd year student entering family medicine. This scholarship is to help students attend the STFM Medical Student Education Conference in January or February of each year, and is given to a student who has both an interest in family medicine and the potential for an academic career.